Workplace is a project for the 2016 Venice Architecture Biennale about the past, present, and future of the office. 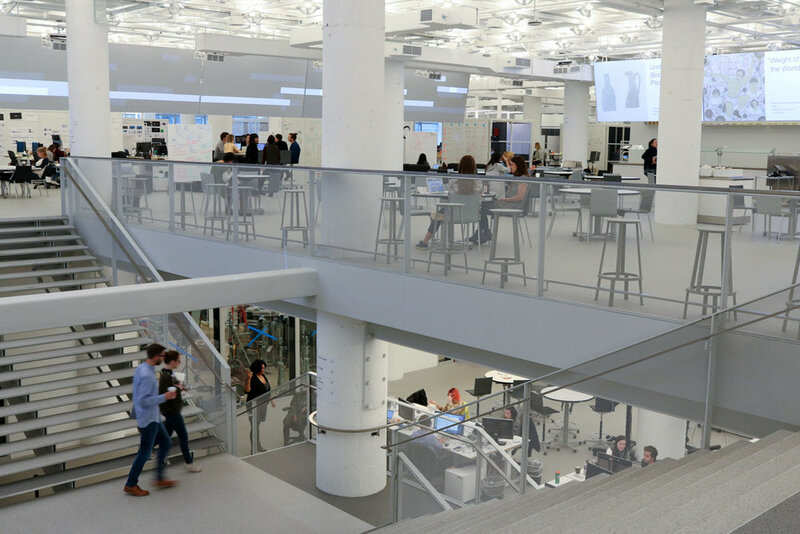 It looks at the thinking, innovation, and experimentation involved in creating the next evolution of what the office could be. 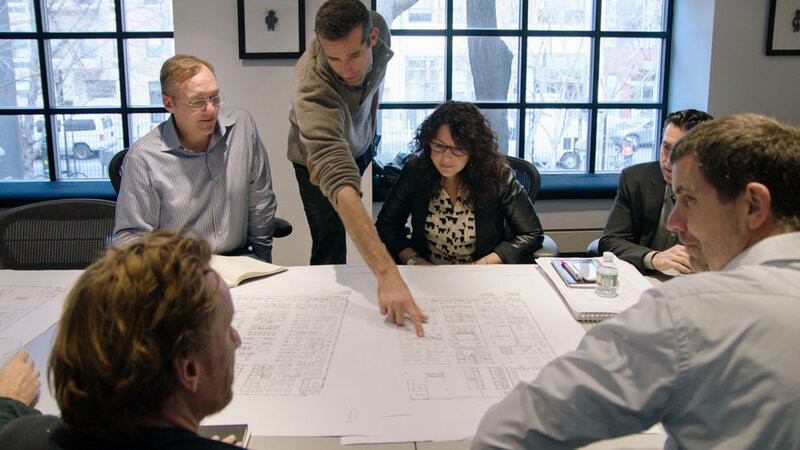 The film follows the design and construction of the New York headquarters of digital agency R/GA (in collaboration with architects Foster + Partners) who have been experimenting with how physical and digital space can better interact. Digital technology has radically changed how and where most of us work, but the physical spaces we work in haven’t kept up with that transformation. The theme of the 15th Venice Architecture Biennale was "Reporting from the Front". As Biennale director Alejandro Aravena explained, "There are several battles that need to be won and several frontiers that need to be expanded in order to improve the quality of the built environment and consequently people’s quality of life. We will present cases and practices where creativity was used to take the risk to go even for a tiny victory, because when the problem is big, just a one-millimeter improvement is relevant." Hundreds of millions of human beings spend billions of hours in offices every day (you might be sitting in one as you read this). How can we make them better places for people to work and collaborate? What's the next wave of digital tools to connect the office, the city, and the planet? How has the office evolved over the last 100 years? And do we even need offices anymore? Workplace features Bob Greenberg, Norman Foster, Nick Law, Barry Wacksman, Chris West, Nikil Saval, Julia Goldberg, Primo Orpilla, Amanda Carroll, and more. The film premiered at the Biennale, where a site-specific version of it screened daily from May 25 to November 27, 2016. This film was a special project for the Biennale and will not be released commercially, but for a limited time you can stream it free from R/GA's website.